If you’re looking for gift ideas for a soon-to-be college graduate, here are a few ideas that will help them with the transition from student to employee. The KeySmart Pro will Tile™ Smart Location is the ultimate key organizer that give you a better way to organize and carry your keys . It can also be used to track your smartphone too. 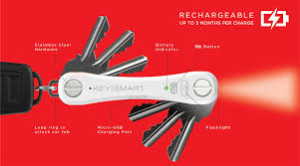 Press the TILE button on KeySmart Pro and it will ring your smartphone, event on Silent Mode. Organization and efficiency come together in the GriffenPowerDock5. 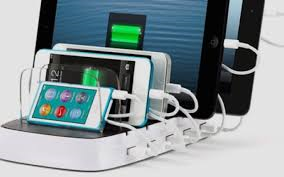 Welcome to the convenience of charging multiple devices in one location. This space saving design is perfect for the college student now employee looking to get organized. 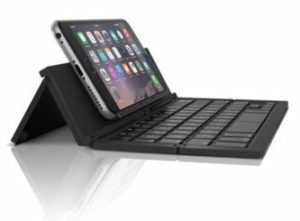 This keyboard is ultra-compact, foldable Bluetooth keyboard with a built-in support stand designed to add a relatively roomy hardware keyboard to your smartphone. It works well for working on long emails or documents on the go. Part of entering the real world is doing things on your own. One of those things: cooking meals instead of always relying on the dining hall or takeout. Instead of letting a recent grad buy a bunch of small kitchen appliances for their new home, give them a device that does it all. Meet: The Instant Pot. 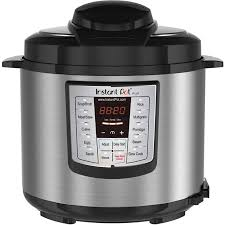 It’s a pressure cooker, slow cooker, rice cooker, yogurt maker, and more. It honestly does everything. If there’s only room for one small appliance in a recent grad’s new kitchen, make it this one. 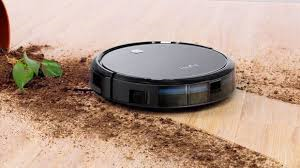 Robotic vacuums have automated a common household chore and can clean your home whether you’re present or not. Models vary in their efficiency and hazard detection and may be better suited to different environments. Great for cleaning pet hair and for those busy people who want to reduce the time they spending cleaning their place.